*Many thanks to Kellogg’s Special K® for sponsoring this post! As always, the thoughts and opinions expressed below are entirely my own. Our generation grew up knowing that breakfast “is the most important meal of the day” but now, as busy adults, how many of us are prioritizing that chestnut of knowledge? I know I hadn’t been! 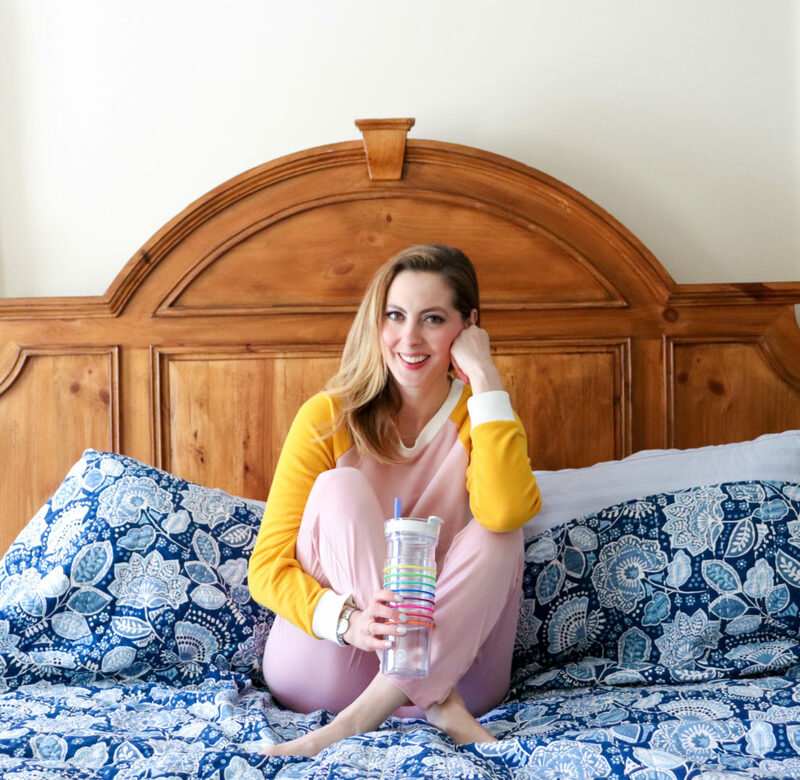 As a busy working Mama, my most hectic time of the day is the morning. 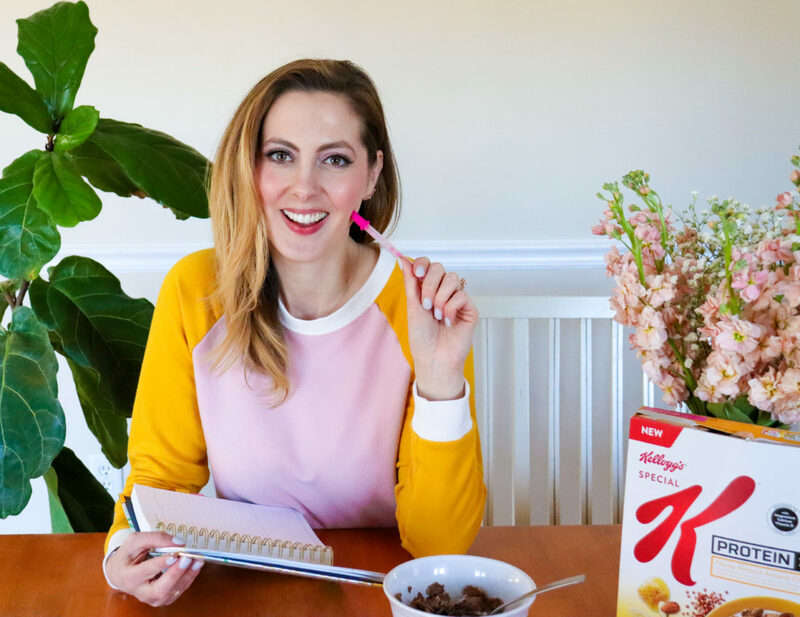 Between getting the kids up and ready for school, making sure I’m set up to tackle my own schedule and to-do list, and trying to create a positive start to the day, I would end up feeling so spread thin. And for me, feeling spread thin has the tendency to make me feel frustrated and overwhelmed–and then my whole household suffers! 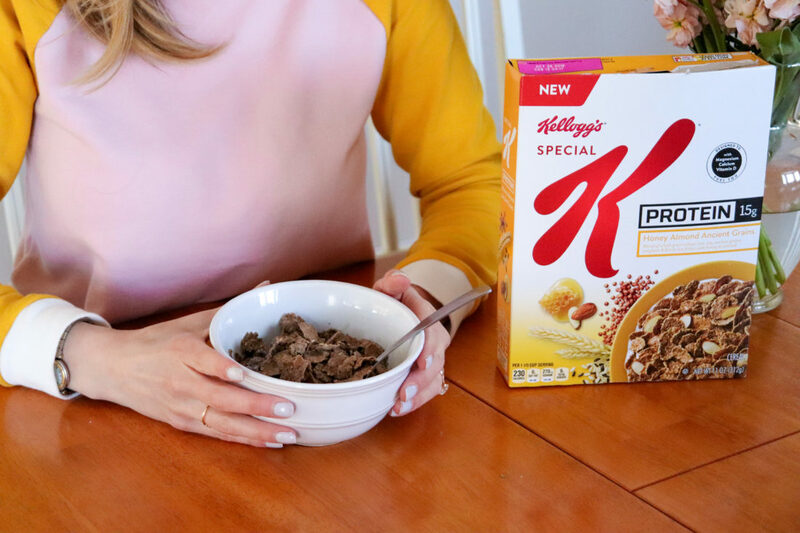 One of my favorite recent discoveries is the new Kellogg’s Special K Protein Honey Almond Ancient Grains cereal! This cereal is part of the Special K Protein line. Special K Protein is a line-up of cereals, meal bars and shakes designed to fuel you! 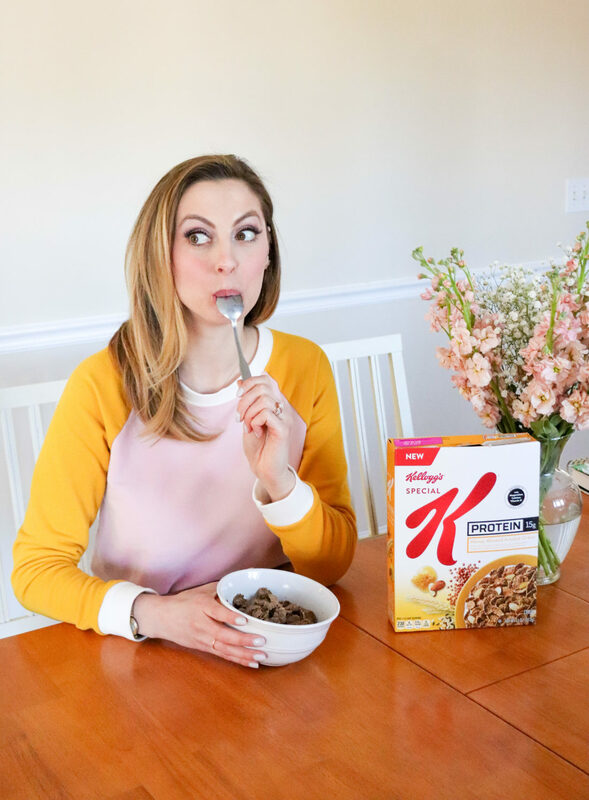 I grew up eating Special K cereal, and this new flavor is the perfect way to support my busy and hectic Working Mom life. It contains 15 grams of protein per serving–which climbs to 21 grams protein per serving when served with 3/4 cup of milk! And this awesome cereal just got even MORE: a nutrient bundle featuring magnesium, calcium, and vitamin D that helps the protein do its job. The cereal also has more fiber than many other protein rich breakfast options–which is such a great way to stay healthy! 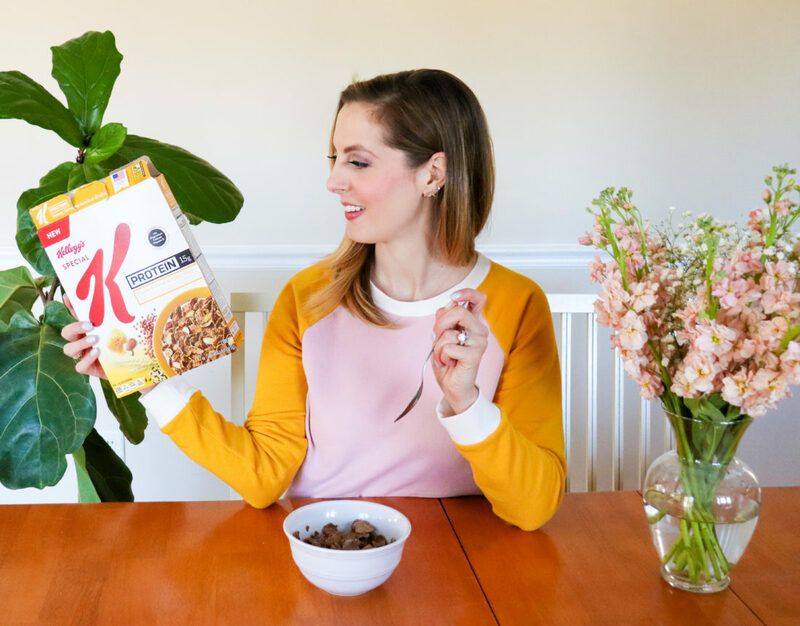 Special K Protein Honey Almond Ancient Grains Cereal is a breakfast that really packs a punch. It’s so easy to make (Hello, just open the box and pour!) And tastes delicious. I love the almond slivers mixed in with the flakes. When I eat this cereal for breakfast, I’m able to get a great start to the day and that is such a relief. I feel like I’m finally seizing the most important part of the day and setting the tone for everything I have to get done. In the spirit of Kellogg’s adding the nutrient bundle to my fave new cereal, Special K Protein Honey Almond Ancient Grains, last week I shared the theory of everyone having their own “More.” Whether it’s something you want to get more out of, a passion you want to fuel, or an endeavor you want to put more in to, that drive is something we all have in common. I asked each of you what YOUR “more” is, and today I’m sharing mine! I’m fully committed to getting more from my mornings. I want to start my day with a beautiful blend of energy and intention so that I can explore my work/life balance the way I want to–and so my kids experience me at my best! 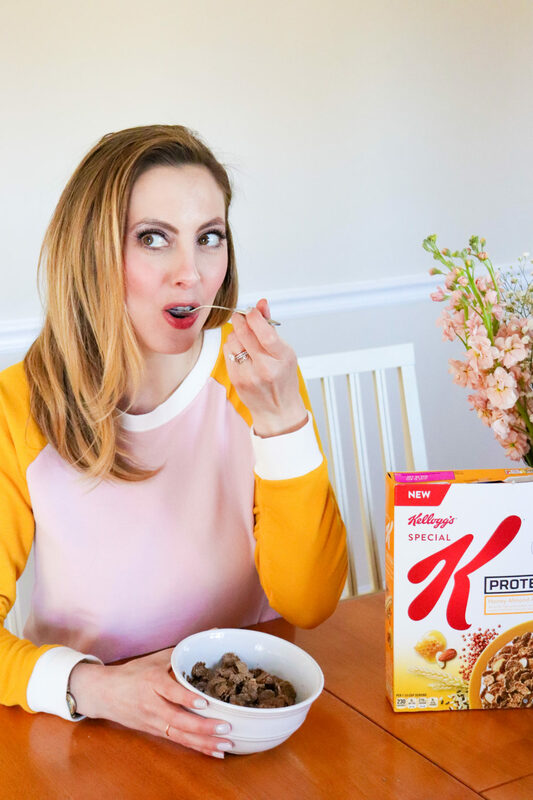 The new nutrient bundle in Special K Protein Honey Almond Ancient Grains helps protein do its job – and that helps fuel me in the morning and set the tone for my whole day! I made a video to show you guys what I mean, and I’m sharing some other tips from getting more from your morning below! Early morning is my special “Me Time.” I love being awake before everyone else, and getting my breakfast started. Sometimes I even work out first thing so that my workout is accomplished before my kids even wake up! For me, more time for myself is very grounding and helps keep me calm when the craziness of the day starts to heat up. Every morning, I drink 16oz of water right when I wake up. 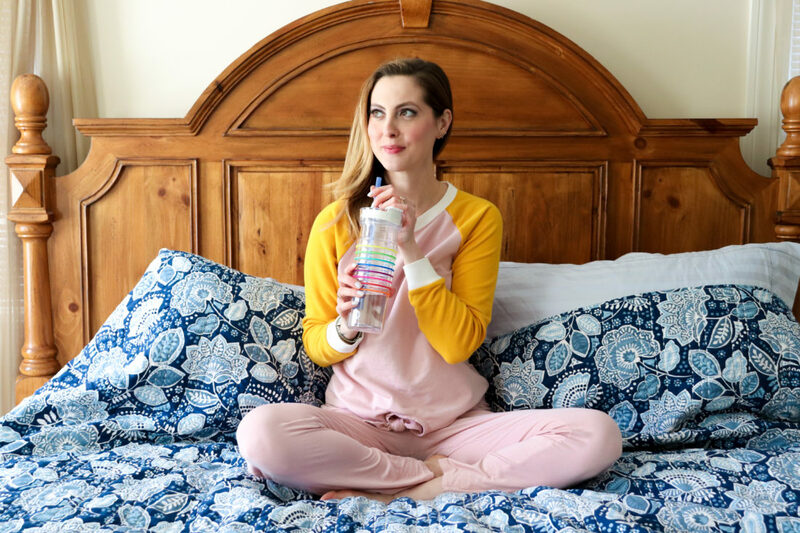 This is to ensure that my hydration for the day is off to a great start, and I find that it helps my stomach and digestive system wake up more gently and get ready for breakfast! Add a squeeze of lemon for an instant energy boost. This little trick saves me so much time, and cuts down on stress in the morning! I look at the weather on my phone the night before, spend a few minutes going through my closet, and taking some calm time to put a great outfit together. When I feel like I’m not rushing out of the house half-dressed it really makes me feel better about the entire day ahead. The best way for me to set a positive tone for the day ahead, is to make sure I’m creating space in the mornings to chat and play with my family. Take those moments to joke, tickle, and share what we are looking forward to for the day really helps us feel connected. And when I feel satiated and fueled from a great breakfast it really helps me set aside time for this! Now I want to hear from you! What is your “More”? Please share in the comments below! I think it’s such a fun way to get to know each other better. 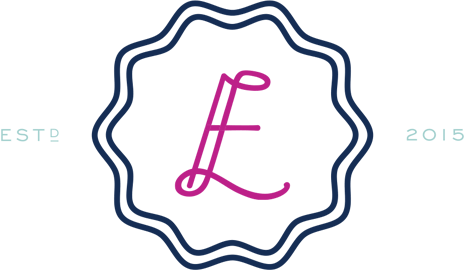 Love the lipstick – what is it? Do you write all of your posts? My “more” is getting up early to write in my journal! So cool– I wish I journaled! mine is my degree that I’m working towards while also working a full time job and being a mom. it’s really hard work but I know it will be worth it in the end! You can do it Pam! Just set aside 30 mins a day just for you! I’ve saw your stories on Instagram where you talked about the problems with Marlowe. I’m not a mom, I’m only an aunty of four so I have no clever tricks for you BUT I wanted to tell you that I think you are doing an amazing job as a mom, because you are thinking about so many things other parents don’t do. And I think you don’t have to justify that you love your children even when you talking about the harder parenting things. Sometimes parenting is simply exhausting, annoying or overwhelming but that does not mean that you don’t love your children. P.S. I hope you understand what I mean because my english is not the best… greetings from Germany!